Deborah Lee Luskin has been writing about Vermont life, past and present, since relocating from New York City in 1984. Her stories and essays have been featured in many regional publications, including The Brattleboro Commons, Dartmouth Medicine Magazine, and Vermont Life. Luskin is an acclaimed teacher, a skilled technical writer, and a regular commentator on Vermont Public Radio. 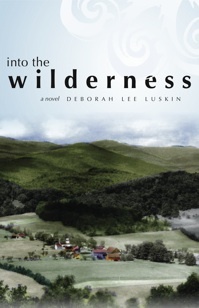 Into The Wilderness (White River Press), Luskin’s first published novel, has been hailed as “a fiercely intelligent love story.” Set in 1964, Into the Wilderness is the story of Rose Mayer, who buries her second husband and wonders what she's going to do with the rest of her life. Reluctantly, she visits her son at his summer place in Vermont, where there are neither sidewalks, Democrats, nor other Jews. There is, however, the Marlboro Music Festival. It's there that she meets Percy Mendell, a born and bred Vermonter who has never married, never voted for a Democrat, and never left the state. This tender romance between these appealing 64-year olds is told with humor, wit and compassion. Set against the backdrop of Vermont's changing seasons, Into the Wilderness is both a love story and a testament to the endurance of the human heart. To learn more about the novel, about author appearances, to engage Luskin to speak or teach, or to contact her, visit her website at www.deborahleeluskin.com.